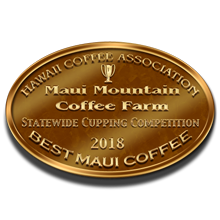 Our award-winning coffee will always be shipped to you fresh! Each week Jordan, the artesian coffee roaster, will roast just enough of our beans to fill the orders that we have received. After cooling and resting each batch we weigh the coffee into specially vented foil bags. This way we ensure that the coffee you receive will be at its peak of flavor. 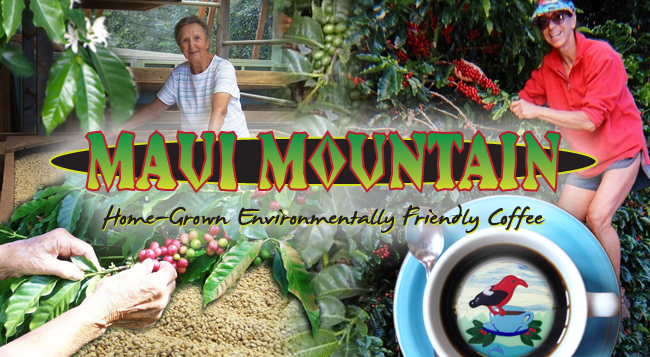 Maui Mountain Home Grown is offered in three very different roasting styles. Each enhances different aspects of our coffee’s unique flavor profile. Just click on the roast of your choice to order! Our lightest roast of coffee is called First Light. 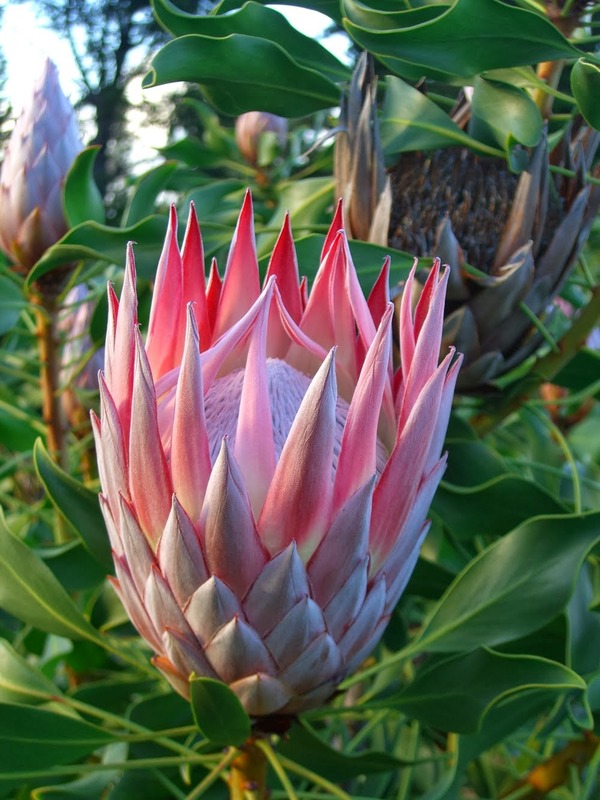 It has a bright clean and crisp profile with vibrant notes of lime, the aroma of magnolia and hints of coriander and cinnamon. Closest to a Full City roast is called Sunrise. 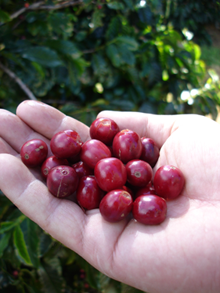 It is a very smooth, almost creamy bodied medium roast. It has lingering tones of vanilla, almond, caramel and milk chocolate. 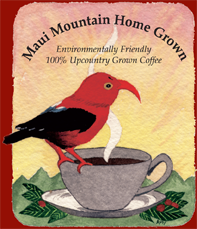 The dark Volcano Roast is a rich full-bodied coffee with a wonderful deep aroma and a slight sugar cane sweetness that allows the natural chocolaty tones of Maui grown coffee to shine through. Our coffees are available in one-pound and half-pound bags. Be sure to select whole bean or ground coffee. 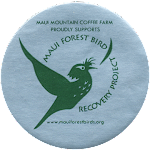 Should you plan to be on Maui in the near future, please feel free to drop me a line if you would like to learn more about our coffee farm. FREE to the U.S. Mainland or its territories, your coffee will be packaged and sent via United States Postal Service. For larger orders or orders to foreign countries, please contact us. U.S. Priority Mail shipping generally takes 3-5 business days. We deliver consistently great coffee. 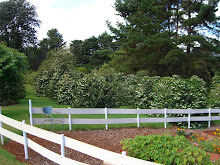 We do not use herbicides or pesticides on our farm. 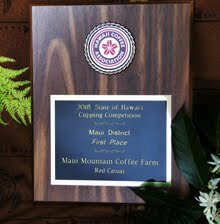 In 2017 our coffee placed 2nd on Maui and 5th out of 107 entries in the Hawaiian inter-island competition. 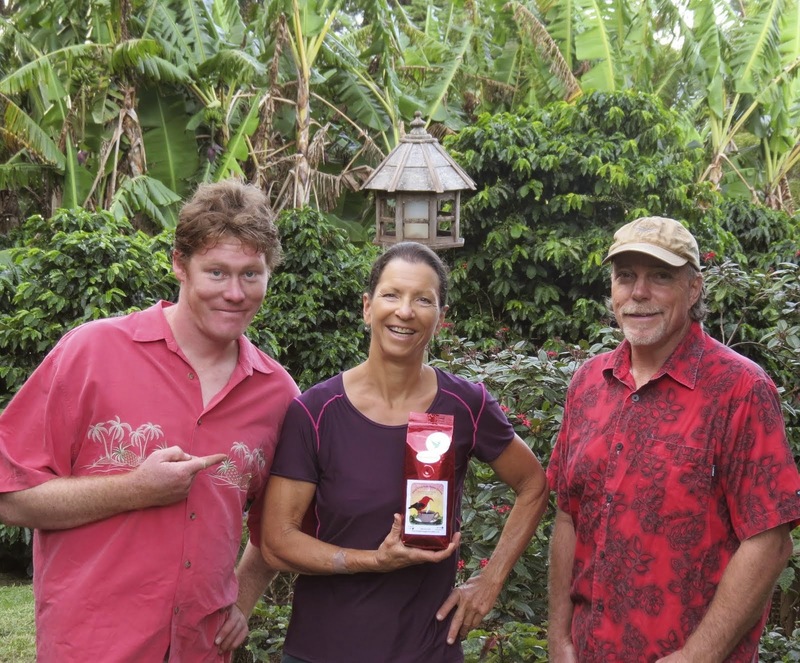 This included coffees from well-known regions like Kona, Kau and Kauai. Try it, you are sure to love it! 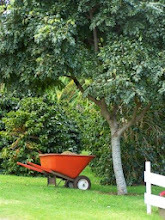 We hand-pick each cherry only when it is fully ripe. 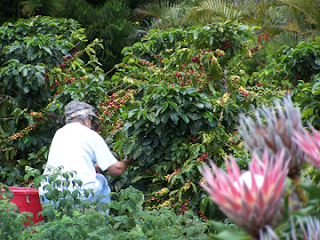 We are the team that provides you with this outstanding environmentally-friendly coffee.